USMTS.com - Silver Dollar Nationals ready to shine! The mega-modifieds of the USMTS join the Lucas Oil Late Model Dirt Series for two colossal nights of racing at the 8th Annual Imperial Tile Silver Dollar Nationals on Friday and Saturday, July 20-21. Saturday will feature last-chance races for both classes of cars, culminating with an $8,000-to-win main event for the USMTS Modifieds and the $53,000-to-win Lucas Oil Late Model Dirt Series championship. Tommy Myer won the first-ever USMTS race at the I-80 Speedway in 2005. The series returned in 2011 to be a part of the inaugural Silver Dollar Nationals with Kelly Shryock capturing the preliminary night feature and Jeremy Payne collecting the winner’s check on Saturday. One year later, Jason Hughes won the Friday night feature while Terry Phillips claimed the 2nd Annual Silver Dollar Nationals trophy on Saturday. Hughes also captured a win during the USMTS Hunt for the Casey’s Cup in 2012 and another here in 2013. Since 2013, however, nobody has been close to matching the dominance of Rodney Sanders. Since topping the preliminary night of the 3rd Annual Silver Dollar Nationals on July 19, 2013, the two-time USMTS national champ has won seven of the last nine USMTS races at the I-80 Speedway, including a clean sweep of the Silver Dollar Nationals for four straight seasons. Last year, the Silver Dollar Nationals was just one of the several USMTS crown jewel events that saw Ryan Gustin in victory lane. For Gustin, it was his 85th career USMTS triumph but his first at the I-80 Speedway and may have cleaned up some unfinished business he had with the race track after the heartbreaker he suffered in the Late Model main event while leading in 2013. Sanders, ironically, won his 84th career USMTS feature this past Wednesday in Oskaloosa, Iowa, and could make Saturday’s show at the Silver Dollar Nationals his 85th victory too. Tickets and times: Adult general admission tickets are $34 on Friday and $40 on Saturday. Youth ages 6-12 are just $12 each night and children ages 5 and under get in for free both days. Pit passes are $40 on Friday and $45 on Saturday. The pits open at noon on Friday with will call at 2 and grandstands opening at 3. On Saturday, the pits open at 3 p.m. with will call and grandstands opening at 1. The drivers meeting convenes at 6:30, hot laps begin at 7, the national anthem and invocation are at 7:25 and racing gets underway at 7:30 both nights. There will be a live band on Saturday from 2-6:45 p.m.
For those unable to be there in person, every lap of every race during the 8th Annual Imperial Tile Silver Dollar Nationals will be carried live at www.dirtondirt.com. Made in the shade: Racers and fans alike are invited to take advantage of some awesome deals at the Oakley souvenir trailer provided by Deatherage Opticians on the grandstand midway, and any driver wanting to redeem certificates on some quality shades are encouraged to visit. The Official Sunglasses of the United States Modified Touring Series, Deatherage Opticians is based in Wichita Falls, Texas, and was founded by dirt track racing legend Terry Deatherage in the late 1980s. The company is now owned and operated by his son, Greg Deatherage. Check out www.deatherageopticians.com to learn more. Traffic Alert: Nebraska Highway 63 is closed just south of exit 420 off of Interstate 80. Drivers and fans coming from the south should find alternate routes. Alternate routes include coming across Church Road to Highway 63 just south of the interstate or taking Highway 50 North to Highway 66 and then coming through South Bend and getting on Interstate 80 at Mahoney State Park (exit 426). The I-80 Speedway is located one block north of Interstate 80 at exit 420, halfway between Omaha and Lincoln. The physical address is 13909 238th St, Greenwood, NE 68366. The entrance to the track is at 13631 238th Street. 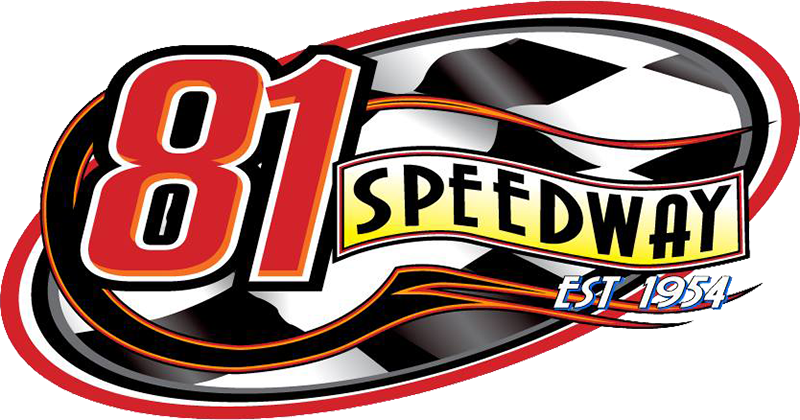 For more information, visit www.i-80speedway.com or call (402)-342-3453.